It’s good to trust your doctor. He or she has spent many years of higher education and hard work preparing to give you good advice on your healthcare and the best treatment available. Your doctor will usually know what’s best for your medical condition. 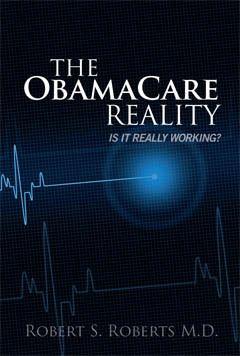 However, when it comes to knowing what’s best for healthcare reform you should be more skeptical. Your doctor is probably too busy to really stay informed. I was most disappointed in the personal responses given when asked to clarify their opinions. 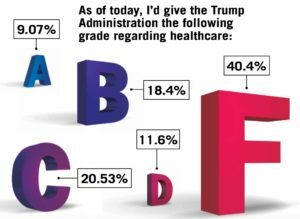 Those who gave the Trump administration an “F” seemed to blame them for failure to fix ObamaCare. That’s reasonable given that Republicans ran on a platform of repealing and replacing the broken healthcare law. However, explanations for their opinions revealed misinformation. Some blamed Trump for failing to have a plan to replace ObamaCare – but the problem was really that Republicans failed to stick together on the plan they had and Democrats failed to participate in fixing the problems at all. Others feared for loss of coverage for pre-existing conditions – when they were never threatened by Republican proposals. Lack of bipartisanship in Congress was a frequently cited complaint. 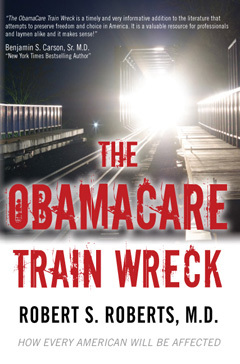 But this problem was started by the Democrats in 2010 when they passed ObamaCare without a single Republican vote. Ideally, the Democrats should have participated in the recent efforts to fix the problems but instead of choosing that path they chose continued partisan opposition. 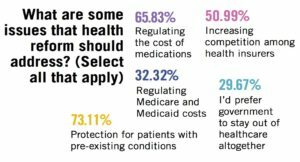 The most shocking statistic in the survey was revealed when 56% favored a single-payer healthcare system. The reasons given included “healthcare dollars are being spent one way or another” – an incredibly naïve response. A pediatrician expressed a desire to see our healthcare system “mirror other countries healthcare systems to get a better idea for covering people.” Clearly she had no idea how single-payer systems in these countries are working or she would know their ideas are not better. 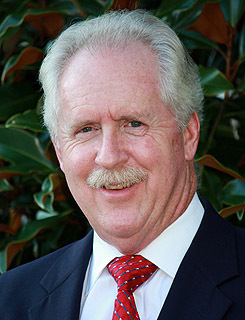 Physicians are dedicated people who want to provide good patient care. But most are too busy to really stay informed on the subject of healthcare reform. 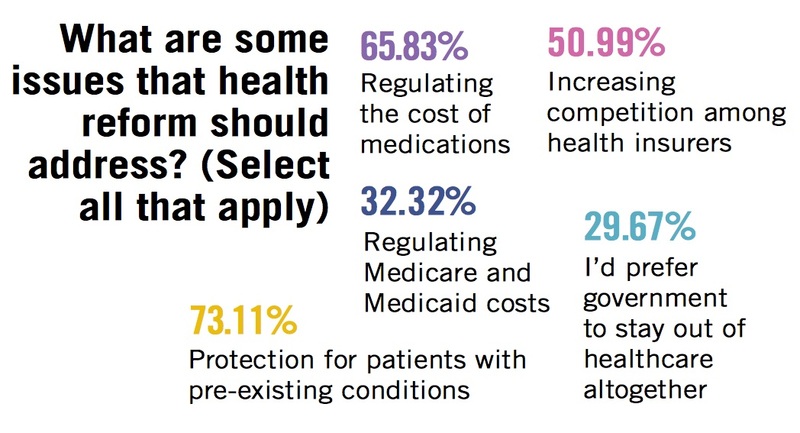 Most simply want to be able to provide care to their patients without consideration of the patient’s insurance coverage, the cost of the treatment, the cost to the society, or the paperwork required. This in part explains the exodus from private practice to hospital-based medicine because those considerations become the hospital’s problems instead of their own. I understand their point-of-view – because I was once misinformed as they are. I just wanted to “be a doctor” instead of a practice administrator. I wished for “universal coverage” because I naively thought that would “let doctors be doctors” and solve all our problems. But good intentions will not solve our healthcare problems. 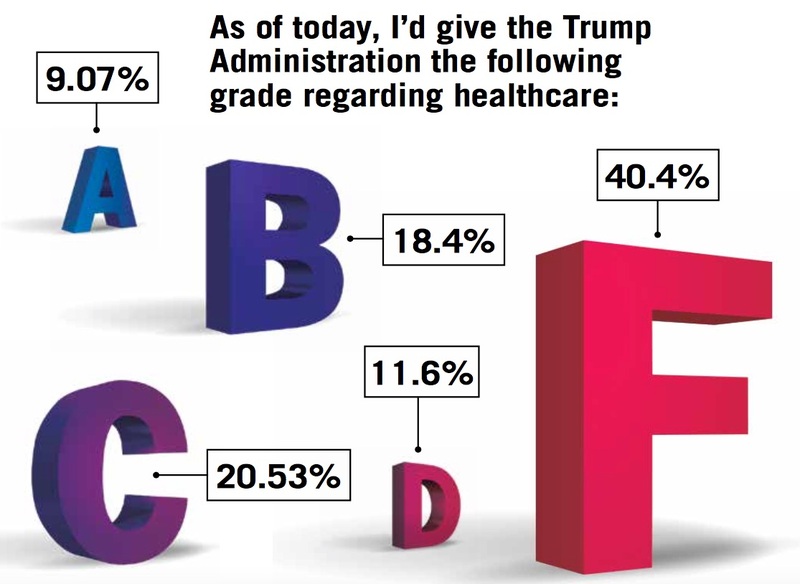 Physicians who want the best for their patients and their families in the future must educate themselves to the real issues this country is facing in the healthcare reform debate. We who live in the United States enjoy the best healthcare system in the world. But maintaining that status demands improvements in the system that will allow us to continue to deliver the quality we all want at a price we can all afford. Physicians, of all Americans, must participate in this healthcare debate – but they must be informed in order to be part of the solution instead of part of the problem.